According to recent report of Border Guard Service of Ukraine 20 973 people crossed the contact line in the East of Ukraine yesterday via 4 checkpoints operating in Donetsk Region. Right now there is no checkpoints working in Lugansk Region. So people who travel to Lugansk have to go via Donetsk Region or via Russia. Here is statistics posted by Border Guard Service of Ukraine today at http://dpsu.gov.ua. That shows number of people and vehicles that crossed the contact line yesterday. Hnutove checkpoint – 2 685 people and 714 vehicles. Today in the morning there were 200 vehicles at Zaitseve checkpoint going to government-controlled territory and 100 vehicles going out. At Mariinka there were 130 vehicles going in and 300 going out. There were 50 vehicles going in and 80 going out at Novotroitske checkpoint. 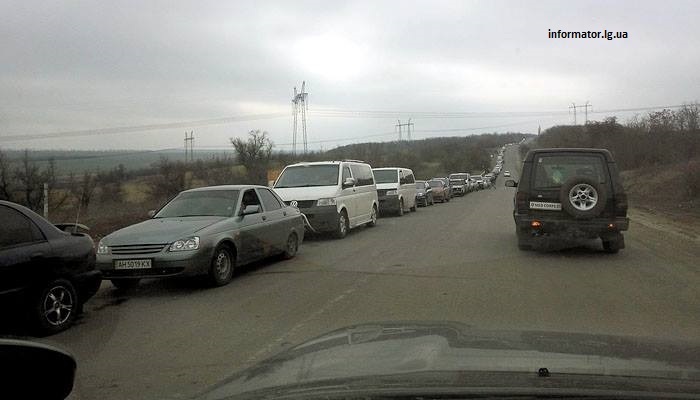 There were 20 vehicles at Hnutove checkpoint going in both directions. 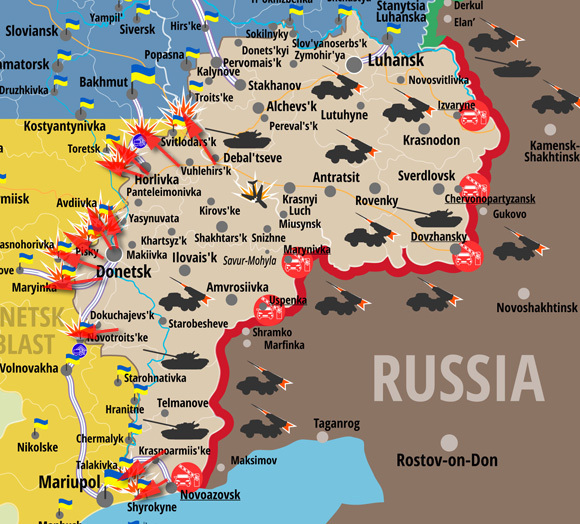 Today ATO Press Center reported about dramatic increase of cease-fire violations in the East of Ukraine. In total pro-Russian terrorist groups attack Ukrainian positions 91 times in the last 24 hours. Ukraine lost 6 soldiers wounded, no KIA reported. 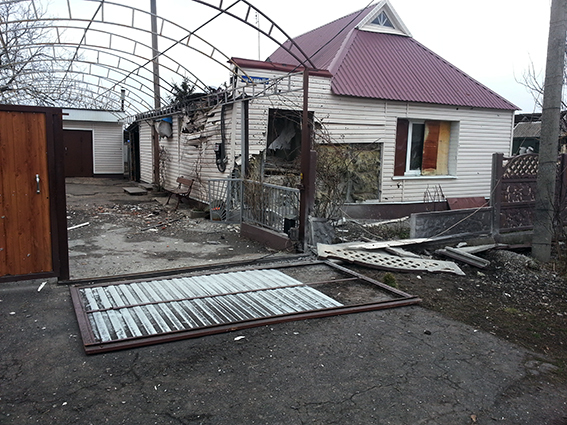 The enemy continued to use weapon banned by Minsk Protocol, such as tanks and 120 and 82 mm artillery. 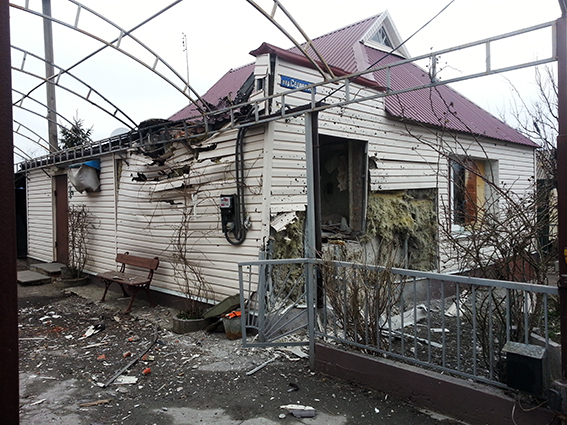 The situation in the East of Ukraine continues to get worse. 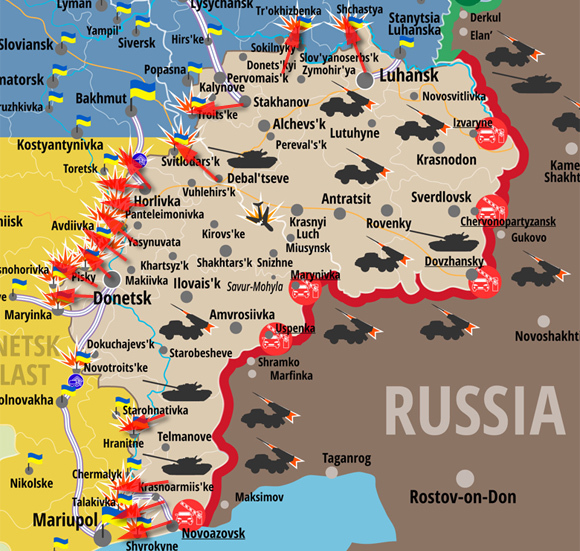 In the last 24 hours the amount of attacks on ATO forces has dramatically increased. Russian mercenaries shelled Ukrainian positions 91 times using tanks, mortars of different caliber, machine guns, grenade launchers and small firearms. Avdiivka village was attacked with the use of 120 and 82 mm artillery 11 times from different directions at the same time, from Mineralne, Yasynuvata and Yakovlivka. 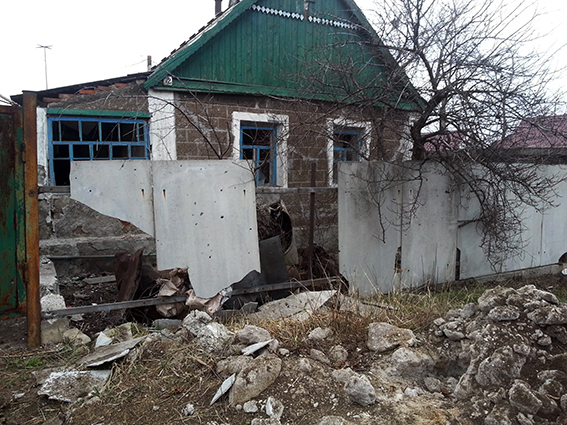 Ukrainian soldiers in Shyrokyne were attacked 12 times from the direction of Sakhanka village. Ukrainian Army fortifications near Novotroitske, Talakivka and Pavlopil were also attacked with the use of mortars. 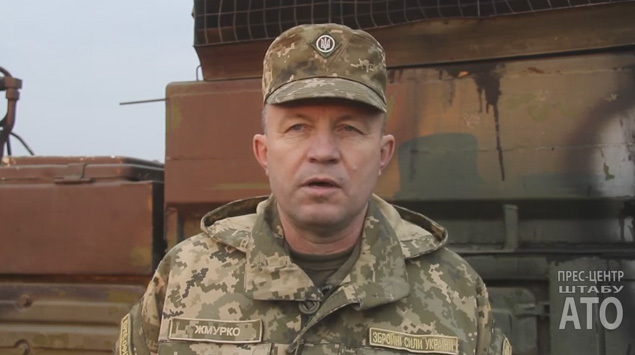 Illegal armed forces used tanks attacking positions of Ukrainian Army in Luhanske, positions there were shelled 15 times with shells of 125 mm caliber. More than a half of cease-fire violations happened from 17:00 to 24:00 when there are no OSCE observers nearby. 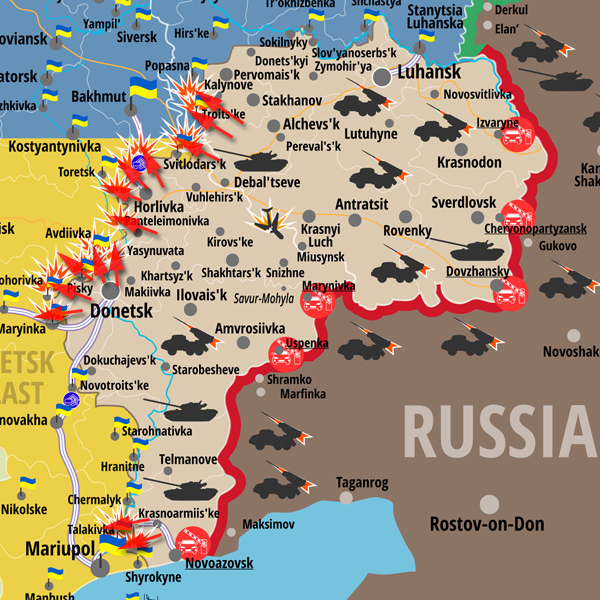 Despite the pressure from enemy side, units of ATO forces continue to control the situation. They had to return fire 17 times in the last 24 hours. 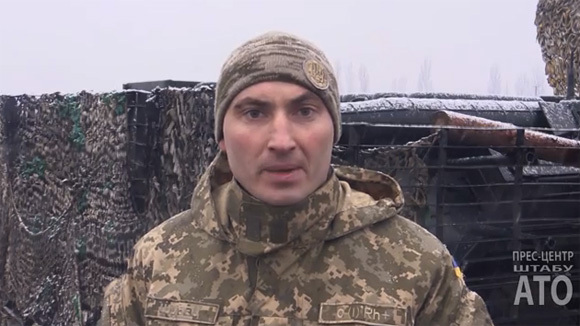 In the last 24 hours no Ukrainian soldier was killed. 6 soldiers were wounded. 4 of them were wounded during enemy attacks near Avdiivka, 2 more soldiers were wounded near Novhorodske when the army truck got hit by a road mine. 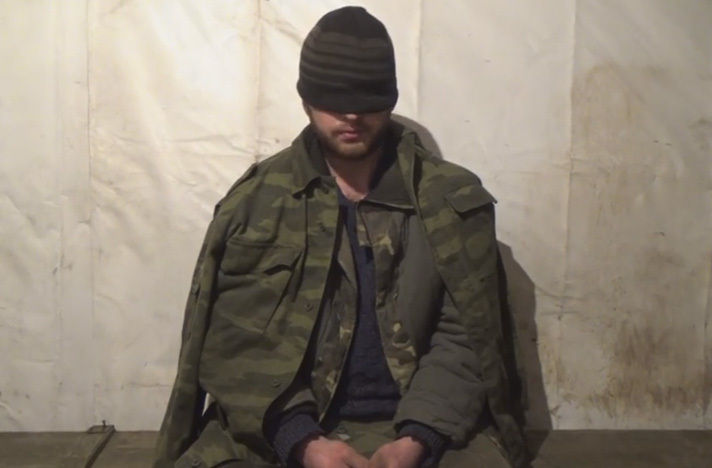 The reporter Maxim Tucker posted a video last night where you can hear sounds of intensive combat between Ukrainian soldiers and pro-Russian militants who attack Avdiivka village located on goverment-controlled territory of Donetsk Region. On 9 April, an SMM patrol, comprised of five members in two armoured vehicles, was in Zhovanka, a government-controlled part of Zaitseve (50km north-east of Donetsk). The patrol was accompanied by the Ukrainian Armed Forces head of the Joint Centre for Control and Co-ordination (JCCC) office in Toretsk. At 12:52hrs, the SMM heard an explosion assessed as caused either by an 82mm mortar or a recoilless gun round impacting at a distance of approximately 100-200m south-east of its position. Within the next two seconds, small-arms shots were fired towards the SMM position coming approximately from the same direction of the impact. The SMM heard at least three-four bullets flying one-two metres above their heads. The SMM immediately took cover behind the vehicles, and then got inside them and left the location. 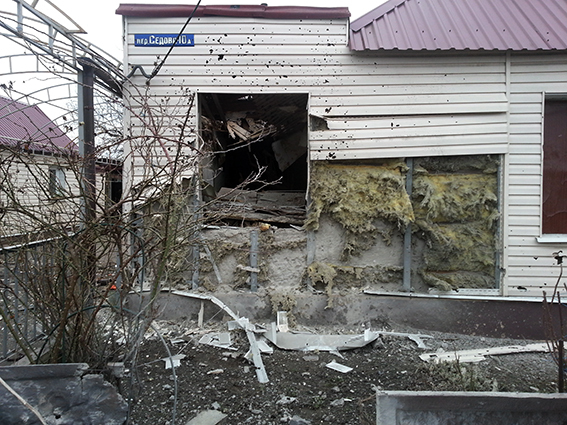 No SMM members were hurt or vehicles damaged. The patrol returned safely to its base in Svitlodarsk at 16:00. 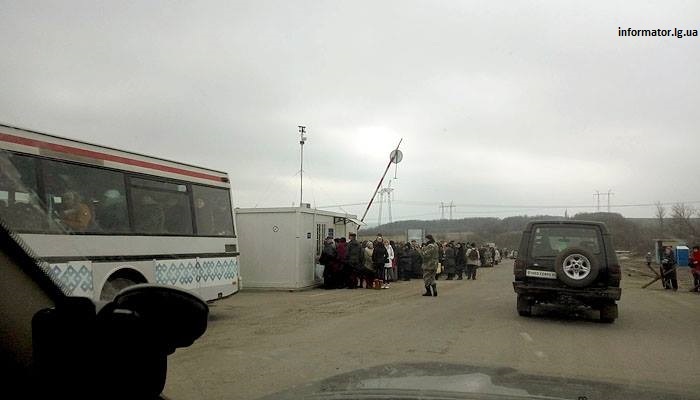 According to the report posted today by Border Guard Service of Ukraine 20 645 people crossed the contact line via checkpoints in Donetsk and Lugansk Regions. 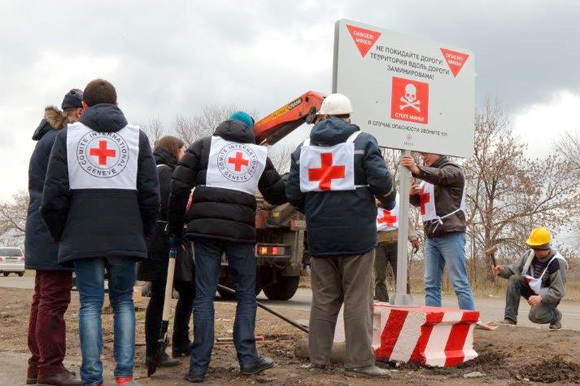 Most of the civilians 18 210 got in out out of the conflict zone via 4 checkpoints in Donetsk Region and only 2 435 people crossed the contact line in Lugansk Regions via the only one checkpoint operating in Stanytsia Luhanska. Below are the numbers posted by Border Guard Service of Ukraine at http://dpsu.gov.ua that show how many people went through each checkpoint. 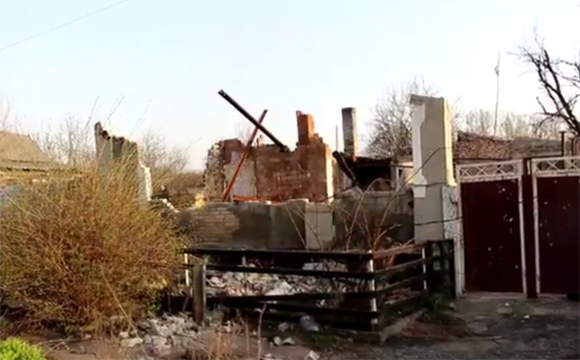 Stanytsia Luhanska – 2435 people. 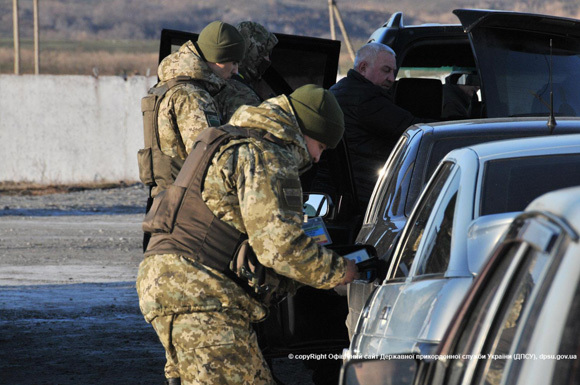 Today in the morning there were 150 vehicles coming from non-controlled territories via Zaitseve checkpoint and 100 vehicle going opposite direction. 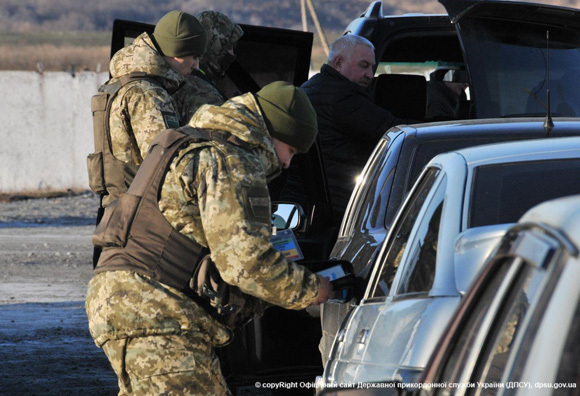 At Mariinka there were 120 vehicles going to non-controlled territories. At Novotroitske there were 60 vehicles going to government-controlled territory and 30 going out. There were no lines of vehicles at Hnutove checkpoint.